While voting technology affects all who participate in elections, people with disabilities are deeply intertwined with the effort to develop and implement more accessible voting methods. In addition to issues that make it harder for those with disabilities to reach a polling place such as lack of transportation and social isolation, the method of voting can present yt another challenge. Ensuring that people have access to large print, audio, personal assistance and off-site voting is an essential part of keeping the voting process open and fair to all. Technology is a key part of this, which is why precincts that use paper ballots must also offer a system that allows electronic marking. 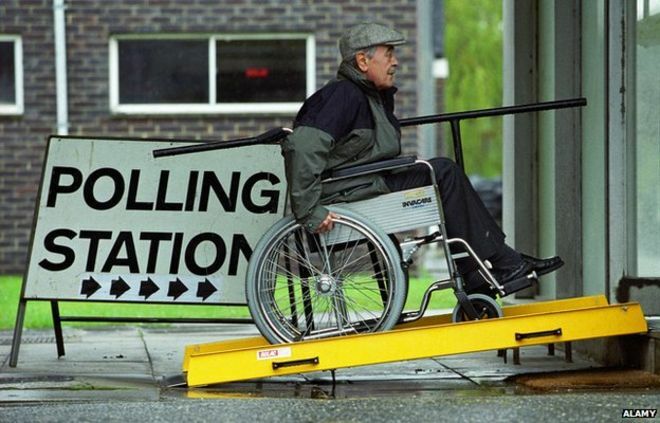 Although not all voters with disabilities require non-traditional machines, the Help America Vote Act specifically requires that at least one fully accessible voting machine must be available at each polling place. Advancements in voting technology should certainly benefit the population as a whole, but must especially focus on empowering people with disabilities.